Vlcc bleach is remove dirts from the skin and makes your skin smooth soft supple. This herbally developed bleach makes skin look fairer and healthy in about ten minutes. 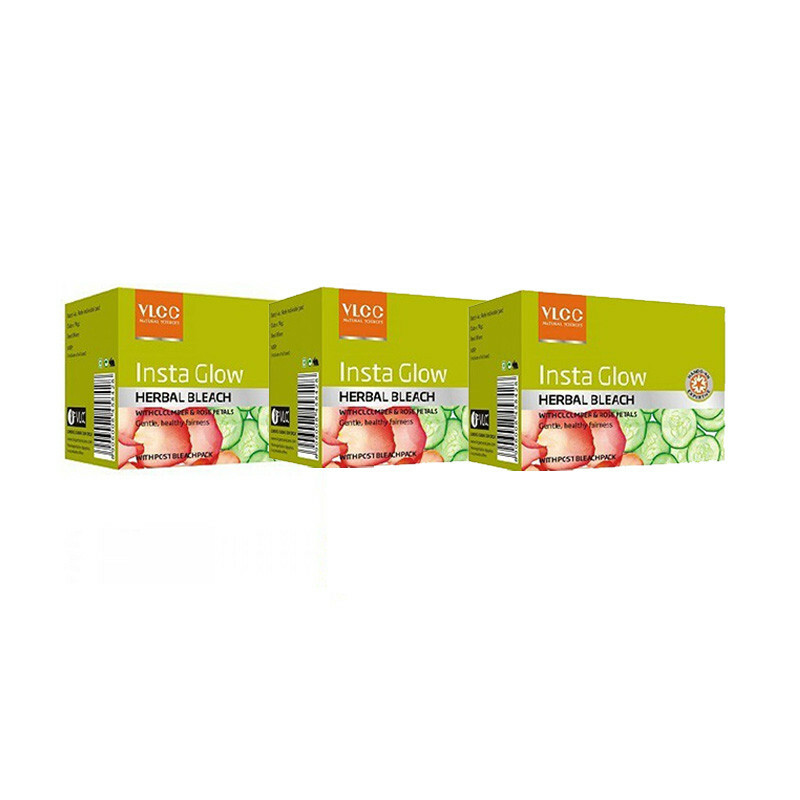 The unique Insta glow herbal bleach not only bleaches facial hair to perfectly match the skin tone but also deep cleanses the skin of all the impurities. It is enriched with herbal extracts of cucumber, seaweed and tomato that act as vial nutrient for the skin.